In what must vex the Left to no end, Brett Kavanaugh is going nowhere. An embattled Brett Kavanaugh on Monday said he won’t be “intimidated into withdrawing” his nomination to the Supreme Court, as he called accusations he sexually harassed and assaulted women decades ago while in high school and college “smears” in a new letter to top lawmakers on the Senate Judiciary Committee. Because the Left wanted to see Kavanaugh high-tail it and run like the wind. I can’t help wonder if Kavanaugh’s stance is a result of Donald Trump being in the White House. Trump has a way of strengthening the resolve of many. Kavanaugh, who intends to testify Thursday before the committee about the allegations along with the first accuser, has been hit with fresh but uncorroborated accusations. I wrote not long ago that I hope Kavanaugh takes some of this Leftist reality into his decision-making with him. 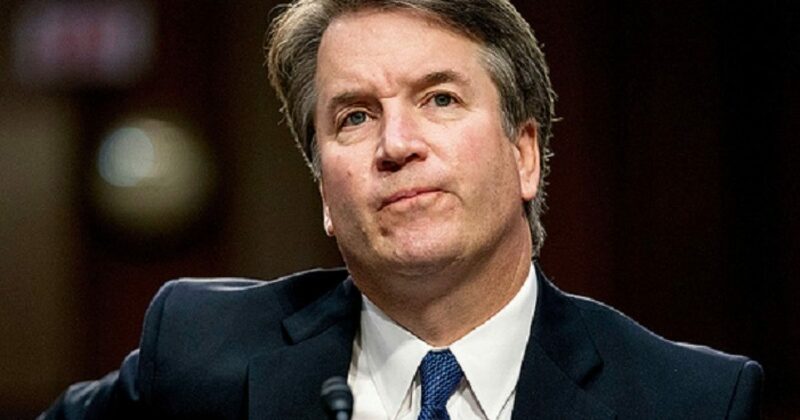 An understanding of the Left will certainly help Justice Kavanaugh with his rulings. Does anybody think Kagan and Sotomayor vote according to the Constitution? Of course not. For those of you who think I condone not following the Constitution, you are wrong. Because that is exactly what Kavanaugh will do and has done. Kavanaugh will follow the law. That’s why Democrats fear him. 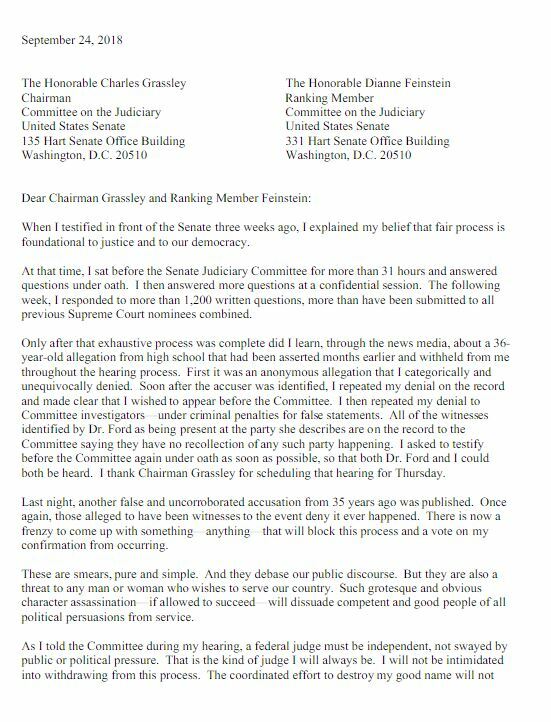 Here is part of the letter, and the link to the actual letter.